New, streamlined, CPIM program better serves the needs of the supply chain workforce - while maintaining the body of knowledge and integrity that has kept CPIM at the forefront of supply chain education. Start your CPIM journey today! Join the more than 107,000 professionals since 1973 who have mastered the essential knowledge and concepts to streamline supply chain operations. Companies and employers know that CPIM designees have the proven knowledge and skills to strategically streamline operations. 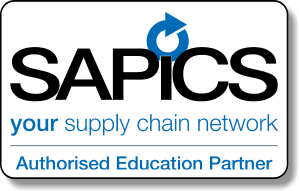 Now, APICS is streamlining the CPIM program to better serve the needs of the supply chain workforce - while maintaining the body of knowledge and integrity that has kept CPIM at the forefront of supply chain education. View the webinar CPIM Transformed for Today's Busy Professional and FAQ's for details on the new CPIM Learning System and exams. Only 2 exams - CPIM Part 1 and CPIM Part 2 – required to earn the CPIM credential. Already taken CPIM BSCM? - The current CPIM BSCM exam counts toward the new, streamlined CPIM Part 1. Streamlined certification experience gets you certified faster. 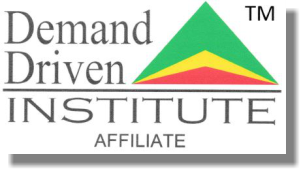 Updated format delivers the same CPIM knowledge and skills in a focused program to meet the training needs of today’s busy supply chain professionals. New CPIM Learning System, a proven APICS certification preparation method that combines reading materials with online practice tests and tools. Take the next step toward earning your CPIM designation! Candidates must pass two CPIM exams in order to become certified. By taking and passing the CPIM exams you demonstrate your commitment to your career and mastery of knowledge within a company’s global production and inventory activities. The CPIM program consists of five modules with two exams, one for Part 1 and one for Part 2. Each module reflects critical areas in production and inventory management. Review the APICS Exam Handbook for full details on exam process and procedures. The exam content was developed according to the test outline included in the CPIM Exam Content Manual. DOWNLOAD THE FREE PREVIEW or purchase the full CPIM Exam Content Manual for $25 USD. The ECM is FREE for APICS PLUS and CORE members.